For Barcode printers, the easiest way to configure the Wi-Fi is to use the Label Printer Utility, please seethe ‘Wi-Fi Card Setup using B-L Utility’ Help Sheet. For POS printers and as an alternative to using the Label Printer utility, this guide will show how toconfigure the card using an Apple device. For this example we are using a MacBook, but this processalso works with iPad and iPhone. 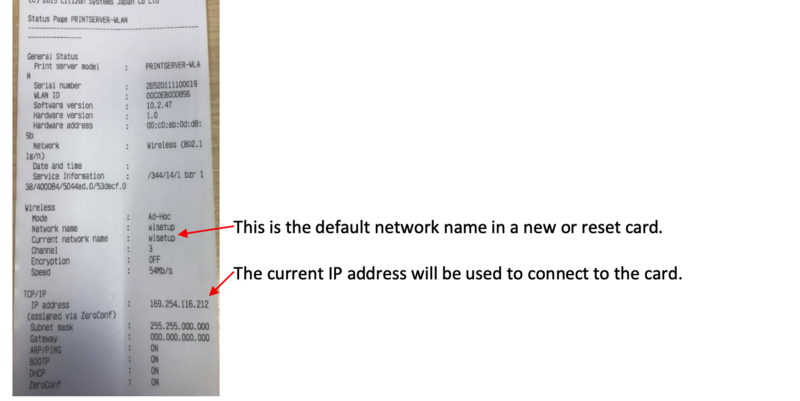 Once the card is fitted to the printer and powered on, press the blue button on the Wi-Fi card and a status page will be printed.This print shows the information required to connect to the card.This is the default network name in a new or reset card. The current IP address will be used to connect to the card. 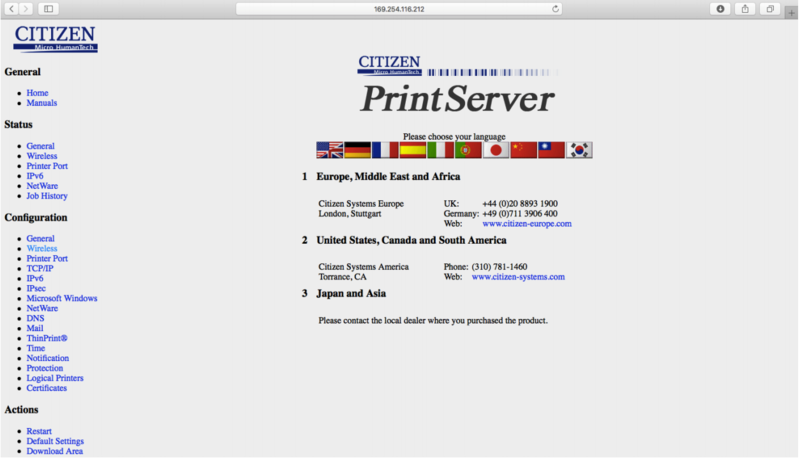 Launch Safari on the device and type in the IP address shown on the Status print, this will open the page below. The card will restart after the settings are applied, the card will connect to the network, but may to aminute or so to initialise and connect. If the Mode shows as Auto and Current Network Name are not correct, the card has not finished initialising. 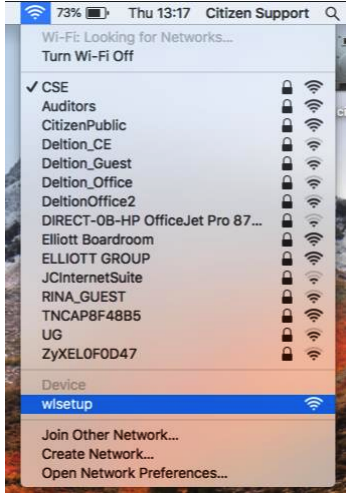 When the process is complete, the Mode will Show Infrastructure, the CurrentNetwork Name will be the SSID that was entered earlier and the IP address willbe a DHCP address allocated from the network. 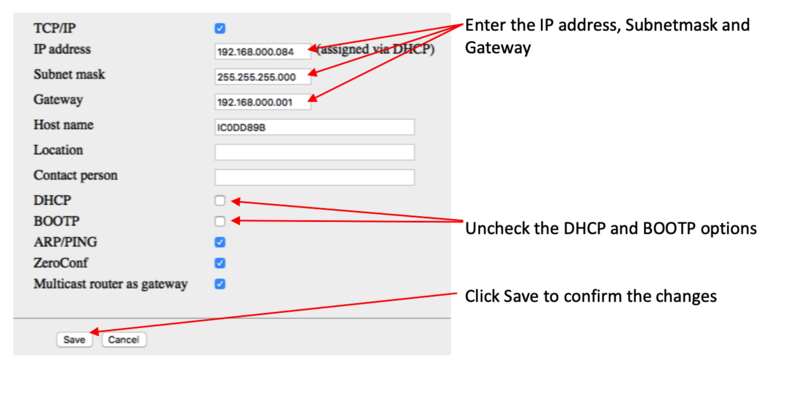 It is now possible to browse to the IP address of the card from any PC on thenetwork to change settings. 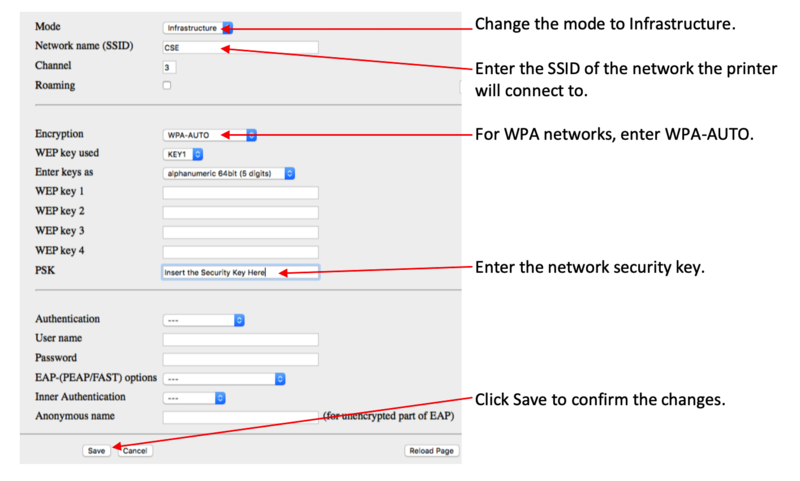 If the card is required to have a staic IP address, browse to the IP addess and select TCP/IP form theConfiguration menu. They come on together, flash independently, then together.